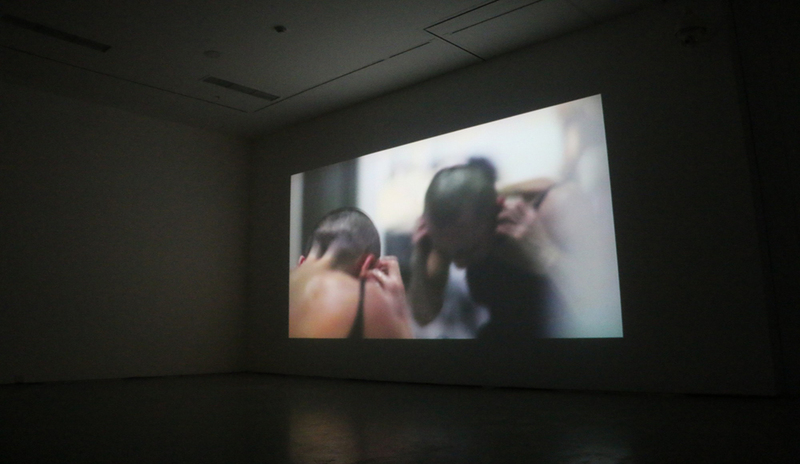 Duan Ni's Video"Zhong / Chong"
On September 19 and 20, 2015, TAO Dance Theatre will present the video exhibition “Zhong / Chong” at the Today Art Museum. 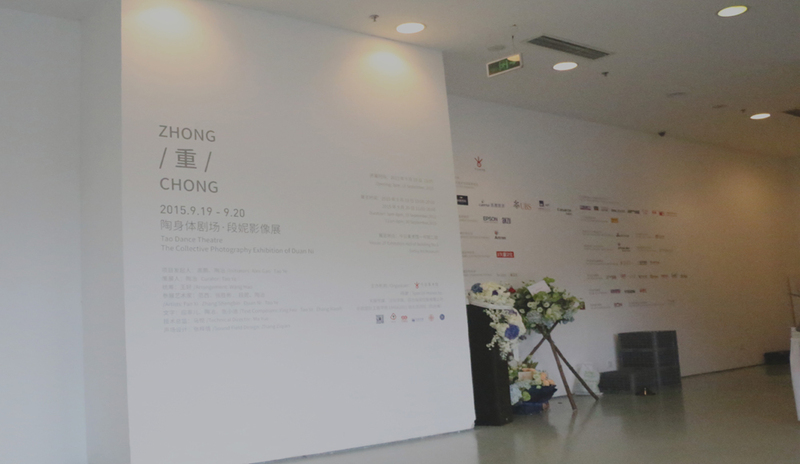 This exhibition will premier the complete video of the stick solo dance of the theatre’s work “Zhong 3”. 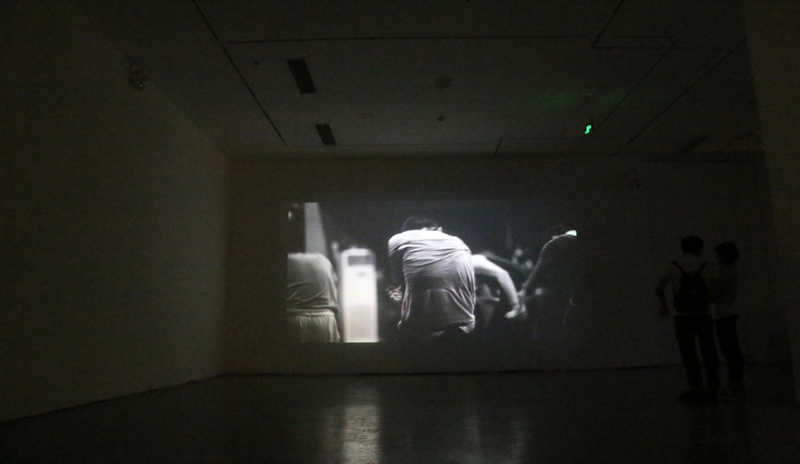 At the same time, three video works by artist Fan Xi and Zhang Shengbin who have been touring with the studio on its world travels. 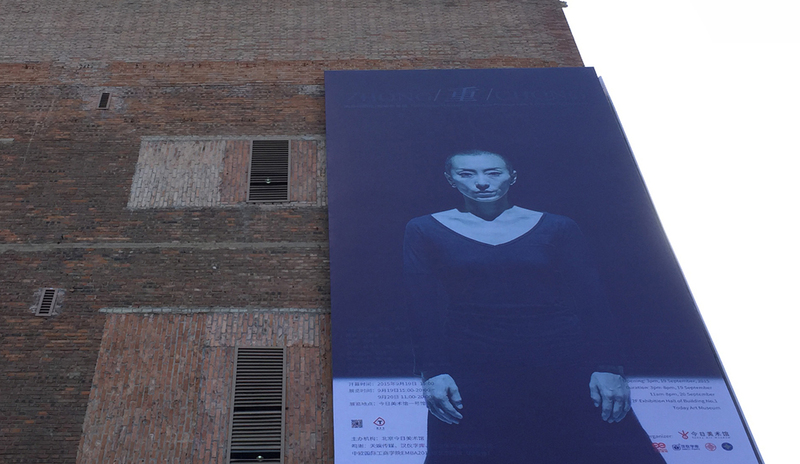 These works will be installed centered around the core figure of the dance Theater, Duan Ni. 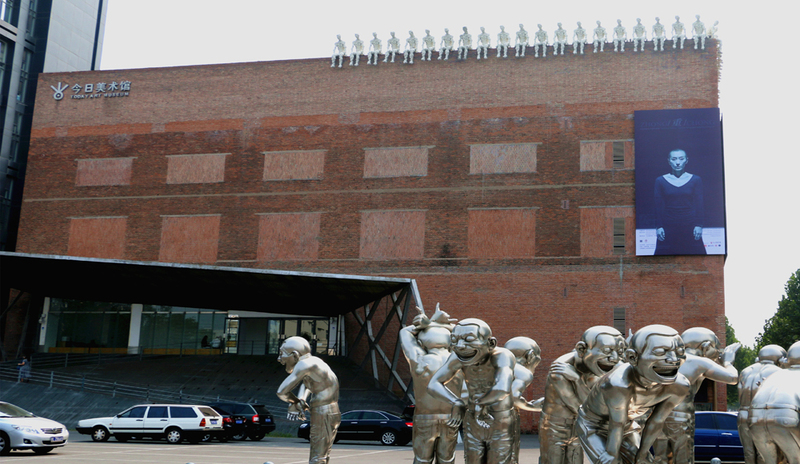 Since its founding in 2008, TAO Dance Theatre has stormed the various international art festivals, catching wide attention across disciplines, it has successfully earned its position on the international stage, and has become one of the most watched modern dance studio at the present. Its choreographer Tao Ye and dancer Duan Ni are the central figures of the studio. This stick dance solo, releases the sources of humble individual movement in rational repetition, it focus on the embedded potential of the human body through an enforced process. In the perfect combination of fury, gentility and the homogeneity of spirit and physique, the work does not only mark the final edition of the trilogy “Zhong”, but also demonstrating choreographer Tao Ye’s maturity, a filter in understanding the talent of dancer Duan Ni. Duan Ni Born in 1977, Xi’an. As a choreographer and the rehearsal director of TAO Dance Studio, in 2004, Duan Ni graduated from the modern dance choreography program of the Beijing Dance Academy (Guangdong school) under its founder Yang Meiqi, China’s acclaimed dance educator and founder of the Guangdong experimental dance studio. During her studies, she received funding to participating in the American Dance Festival for cultural exchange. Upon graduation, she danced with the Jinxing Dance Studio in Shanghai. In a performance she was spotted by the British choreographer of modern dance Akram Khan, who then went on to London to dance. 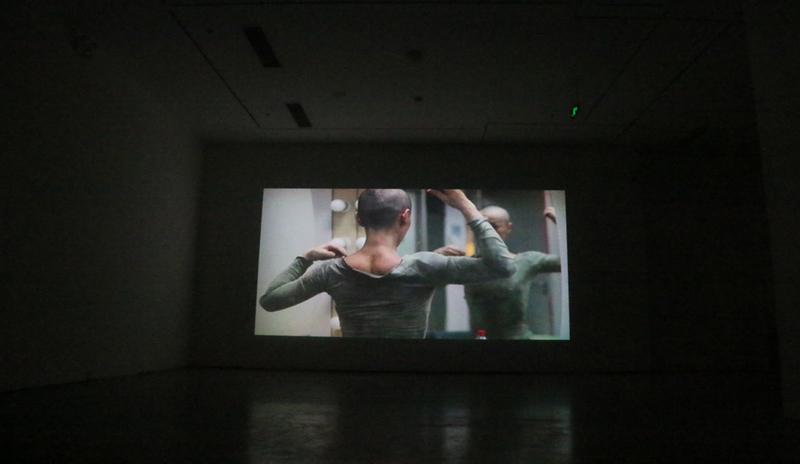 Thereafter, she also danced at the Shen Wei Dance Arts in New York. Duan Ni had been invited three times to perform at the Lincoln Center of the Arts in New York, whose performances were noted by the New York Times as “incredibly strong”, “respectful”, and “highly controlled”. With her rich international experiences, Duan Ni embodies and transforms all the concepts and styles through her body in establishing her own body language and its qualities, conserving softness and stamina, purity and openness. As a choreographer, Tao Ye understands profoundly Duan Ni’s unusual talent, her conscientious and meticulously trained genuine artistic language, and the spiritual characteristic of she embodies as a dancer. With which, he spent four months to compose this twenty minutes long, structurally concise and dynamic piece. Although the stick solo was tailor made for Duan Ni, yet it was not particularly based on Duan Ni’s special skills and characteristics. In fact, whether its external movements or the focus required throughout, it demands a dancer to strive for one’s utmost performance: the moving of the stick in itself, is a concise translation of body logic. In its completion, the dancer must attain an extremely accurate, rational and clear control of the body. In addition, the accessories of the dancer, the props, standing positions, lighting and music set up parameters, in which the difficulty to complete these movements rationally increases. General speaking, strict reduction allows this work of waving sticks to render a vacuous environment of purity, which fully opens the entire field that the dancer commands. The stick condenses the most honed expertise in a mature dancer, conjuring various limitations, using weight to consume the body, deconstruct time with repetition. 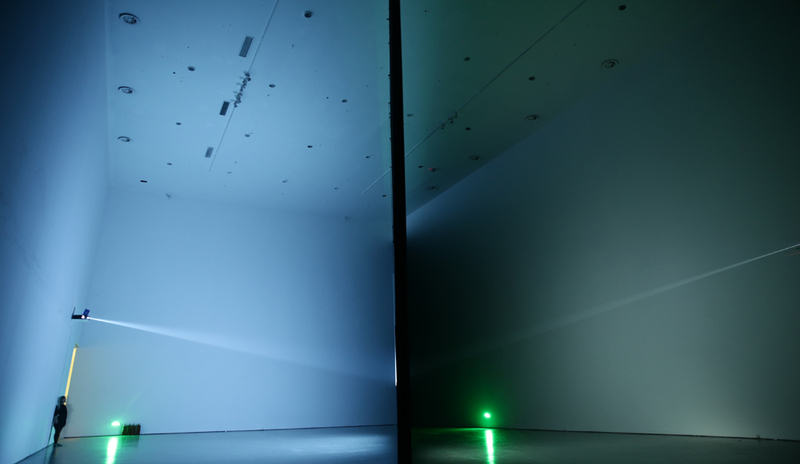 And the layering thickness and the useless sense of time highlight the viewing experience. Every minute is exponentially expanded, every minute becomes an hour filled with anxiety and exhaust. Until now, the one who can fully complete this work and manifest the essence and philosophical meaning of this dance had only been Duan Ni. For whom, a unique and respected artist, “stick solo” is attributed to her, which fully expresses her physical achievements and artistic attitudes. 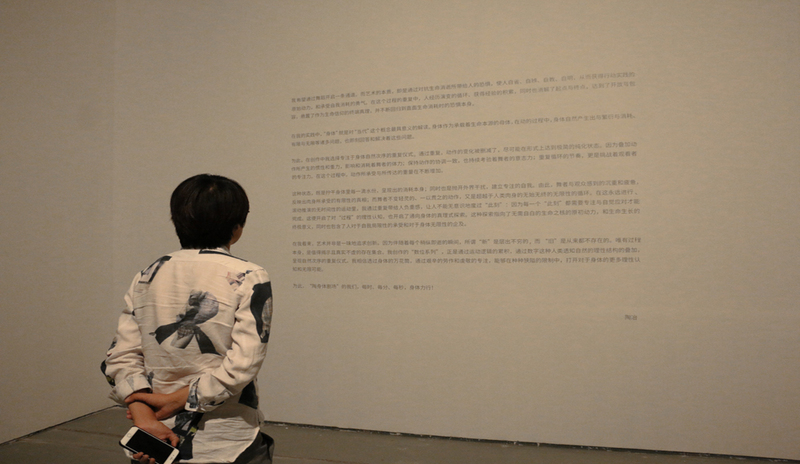 For Tao Ye, in making this work based on his observation of Duan Ni’s performance, his work is founded on the concept of “possibilities are engendered through limitations”. Thus the so-called “formalism” and “abstraction” may not frame this work. Every presentation, the participants confront themselves again and again, focusing on every movement without having any access to a shortcut. The most humble labor in the human being is the movement of the body, and the rational accumulation of consciousness. Such primitive yet retrospective return to the origin, bound to shatter the shimmering surface, to preserve the texture, energy and dignity in the ephemerality of the dance. 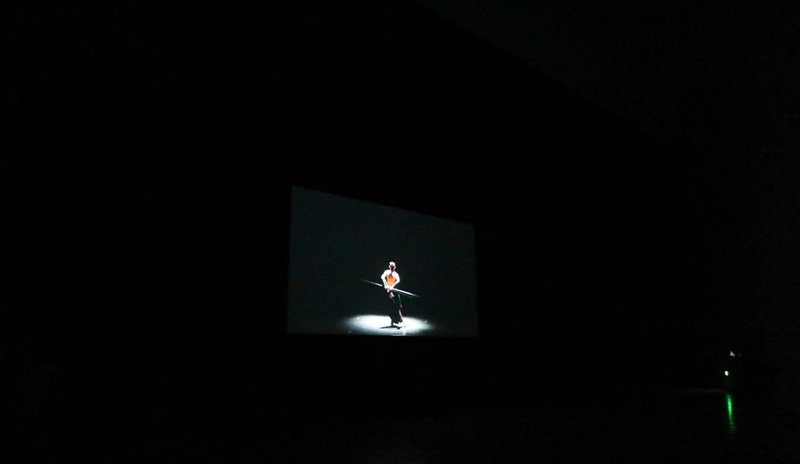 The three video works shown at the Today Art Museum are the works of photographer/video artists Fan Xi and Zhang Shengbin, consisting of “Audience Recording of TAO Dance Theater's world tour”, “Duan Ni: Backstage” and “Photographs of Duan Ni’s dance movements”. 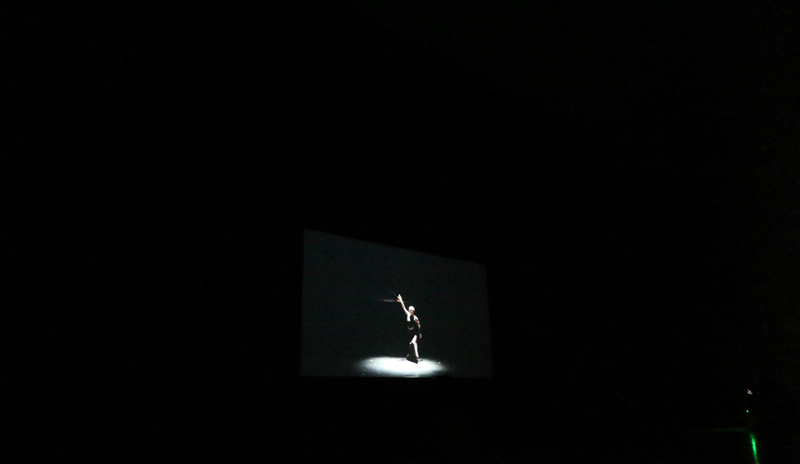 Fan Xi and Zhang Shengbin's collaboration of the audience recording edited the thoughts, focus and the various detailed state of being as viewers worldwide watched the TAO Dance Theater's performance. For these onlookers, their reactions indirectly reflect how the dance pieces were felt, accepted and understood. 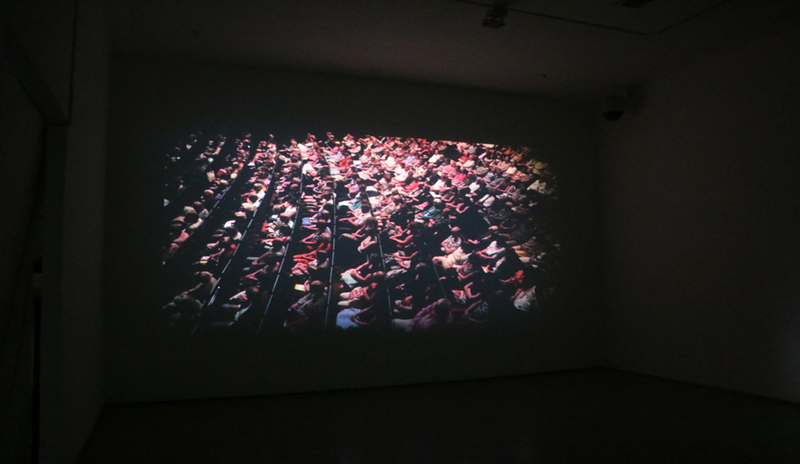 At the same time, the viewers in the audience resonated with their roles, through which the viewers at the Today Art Museum may gradually enter the world of TAO Dance Theatre by watching the video recording of audience around the world. The other work is a documentary of a persona, collaging a number of meaningful and humble moments of Duan Ni on and off stage. As the images fade in and disappear again, manifesting the state of Duan Ni’s life and the depth of her practice. With these in-depth recording of details, we are able to look into the spirit and disposition of Duan Ni’s life. This is her silent and unintentional discourse, and a peaceful gaze through the camera lens. 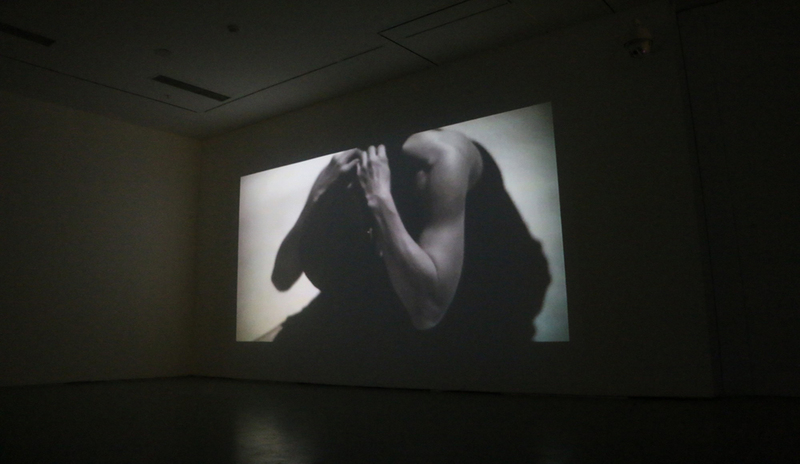 The interior gallery shows Fan Xi’s photography, over her long period of collaboration with the dance studio, the images show photographer’s appreciation of Duan Ni’s unique physical characteristics. 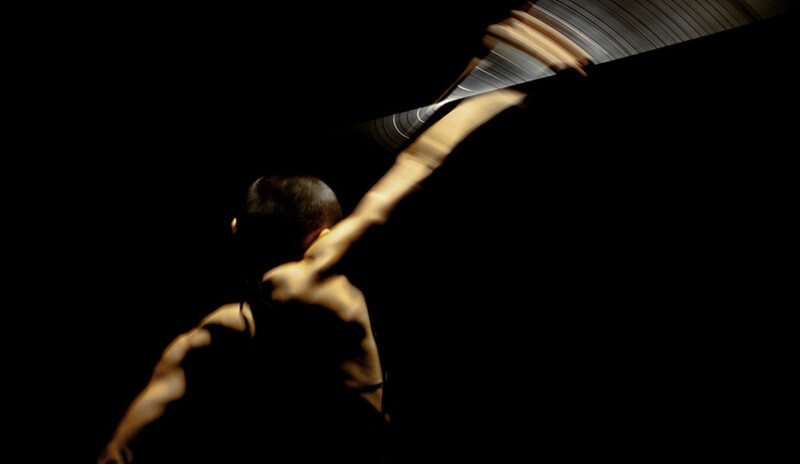 This video’s in-depth and exquisite filmic language establishes a dialogue with Duan Ni’s physical movements. Resonating with the “stick dance” video shown in the same room, one was shot from a panoramic perspective, the other focuses on the details of the body; one reveals an internal power, the other highlights the texture of the body; one explores the boundary of the individual, the other demonstrates universal beauty. 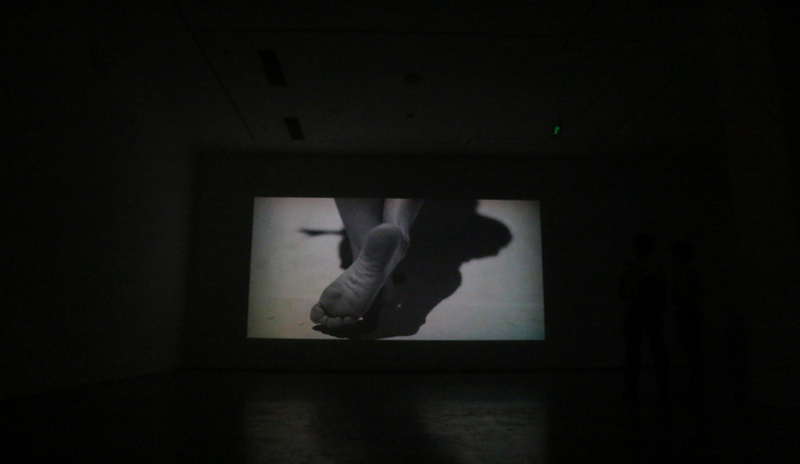 Fan Xi’s work, the lens positioned with the observer’s perspective, discovers dancer Duan Ni’s talents and her concise artistic attitude, which provides round visual tension to the entire space. 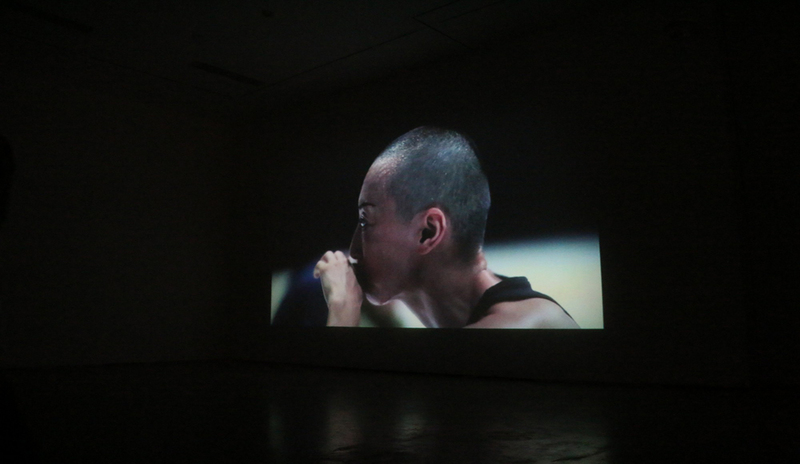 Video exhibition of TAO Dance Theatre resonates through the connections between the pieces shown: the outer videos of audience recording and the dancer, and the inner independent area showing dance “Stick” and Duan Ni’s dance movements, these two sets establishes a dialogue and reference between themselves. With the perspective of the other and the self, in general and details, the works create a sensible location. By which, the viewers may have a better grasp of TAO Dance Theatre’s lead dancer, Duan Ni’s artist qualities. Opening: September 19, 2015, 15:00 / Exhibition: September 19/20，2015 / Location: Today Art Museum, Bldg 1, 2nd Floor.